Brisket, Ribs, Sausage, Chicken and all the Fixings for 6 People. 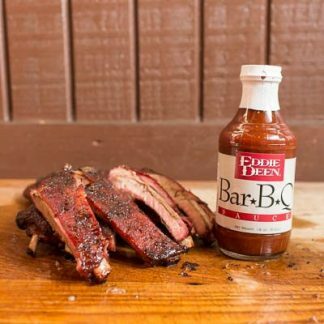 We’re not lying when we say this is a great way to feed a hungry crowd of barbecue lovers. 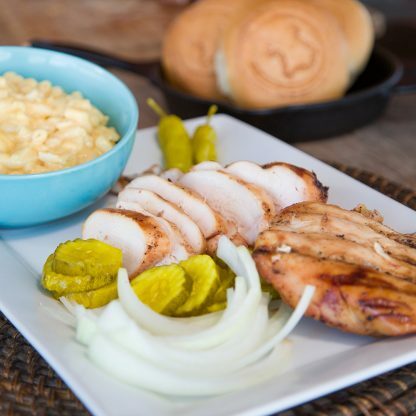 You can entertain family and friends without having to lift a finger except to place this order. 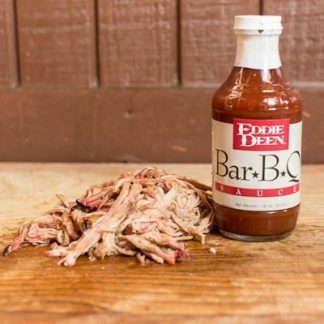 The brisket, chicken, ribs, sausage and pulled pork are Hickory smoked low and slow using Eddie Deen’s famous blend of spices. 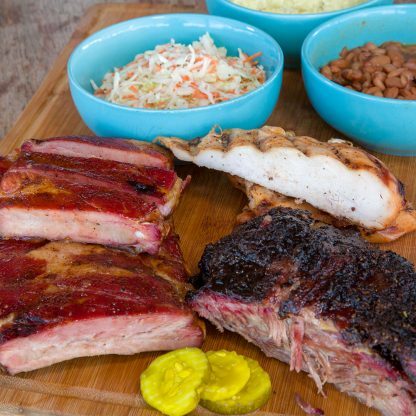 All you have to do is thaw and serve. 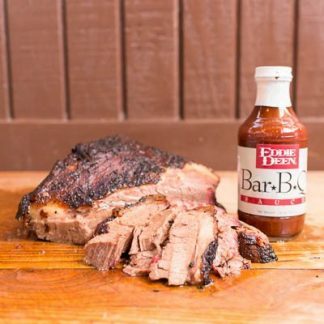 If you’re hungry for authentic Texas barbecue then this is the dinner for you. 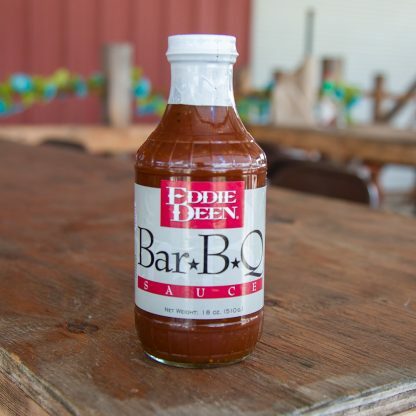 Eddie Deen knows Texas BBQ like the back of his hand. 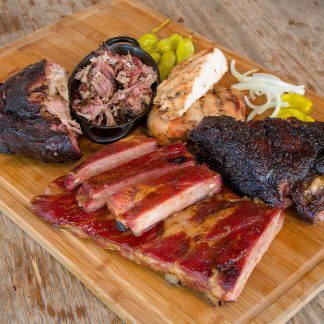 His meats and poultry are so delicious they’ve been served to two U.S. presidents and a whole bunch of Texas governors. 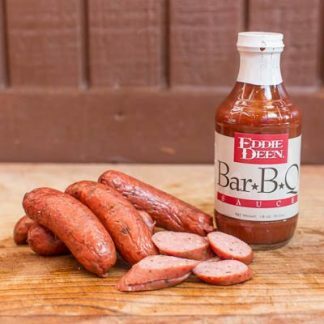 Eddie Deen’s Complete Dinner also makes a great gift for those in need of delicious Texas BBQ. Food Safe Handling: This is a perishable product. 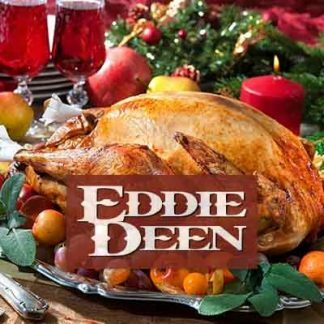 The Complete Dinner is shipped frozen and may thaw along the way. Be sure and refrigerate or freeze when the dinner is delivered.